I have always enjoyed the extra dimension quilting gives, creating surface texture. I have tried to portray the rock layers of the ancient Malvern Hills, where movement in past ages has created cracks and fissures. 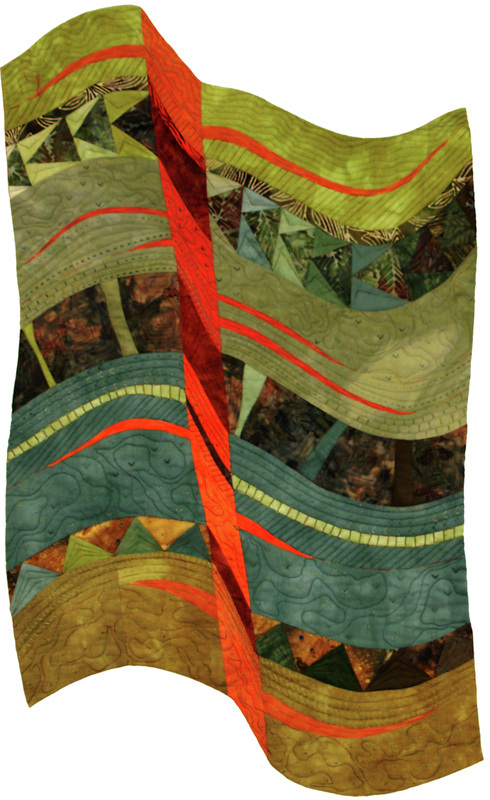 The quilting is inspired by the notation on geological maps. A new departure for me was using green - not a favourite colour, but it seemed appropriate for this subject – and adding hand quilting. Mostly hand-dyed cotton, machine pieced. Some raw-edge appliqué. Machine and hand quilting.